As far as dining trends go, the food truck is one that's generally belonged to the millennial generation. But as it turns out, food trucks aren't just for the young; they're for the young at heart. 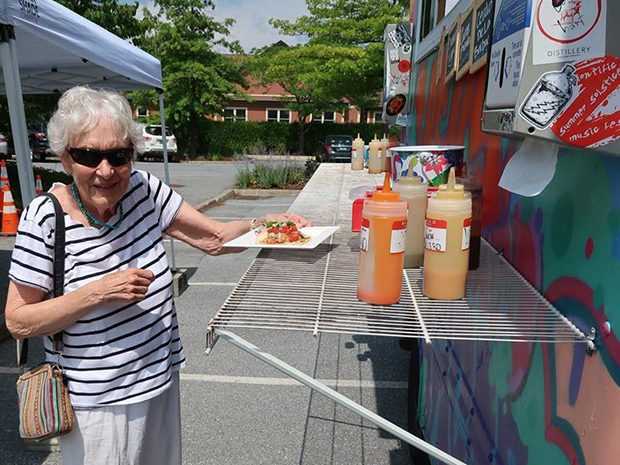 Wake Robin, a continuing care retirement community in Shelburne, Vt., welcomed food trucks throughout the summer, giving residents, staff, construction workers and prospective residents an opportunity to try local cuisine from vendors such as Taco Truck All Stars. "What's special about Wake Robin is the focus we put on building a community," said president and CEO Patrick McKee. "Having food truck vendors come here throughout the summer and sharing a meal with residents affords us the opportunity to build meaningful relationships and connect on a personal level." The residents have also enjoyed visits from another local food truck, Shy Guy Gelato. The last scheduled food truck visit will take place in mid-September, but the facility plans on resuming the program next summer. "That's always been a key part of our mission at Wake Robin and we're happy to continue it," McKee said. "Plus, how many food trucks do you see at retirement communities?"